Several of the siblings live within minutes of each other and share plenty in common, including going to the same synagogue and barber. Three brothers and sisters – with the youngest being in their mid-80s – met for the first time in an emotional reunion Sunday in Boynton Beach. 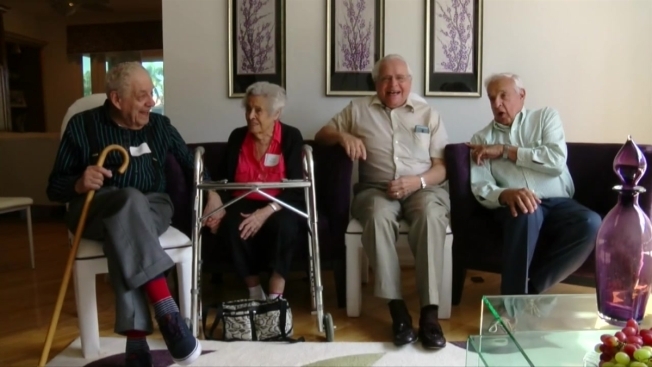 NBC affiliate WPTV reports the reunion between the siblings – brothers with ages 84, 88 and 93 along with their 102-year-old sister – took place after DNA testing linked them and the reunion process began. “To learn at this time in my life that I have sister and she’s 102,” laughed 88-year-old Ralph Frier at the gathering of the four siblings and their families. Family members say the four share the same father, who divorced his first wife and changed his last name without telling his new family about his former life.